It appears that a game based upon 1980’s horror-comedy cult classic Gremlins is to make its way to Wii and Nintendo DS later this year. 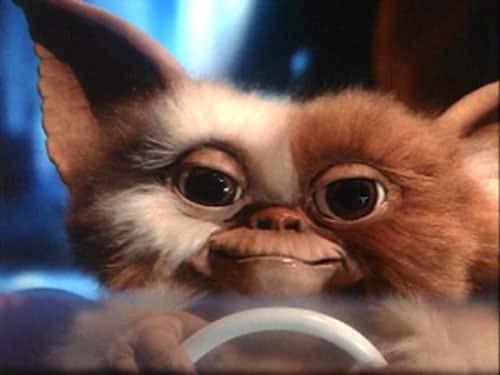 Hidden amidst the bustle of Comic-Con International 2011 was a booth that showcased a trailer for the, as yet, unannounced game that is to be titled Gremlins: Gizmo, stating that it was due to release across North America on November 18th. IGN, who spotted the booth, state that it appeared to be a mini-game collection that incorporates some form of virtual pet elements. Trailer footage depicted Gizmo lifting weights, singing, dancing, and playing Table Tennis against the player, with other Mogwais joining the action and able to be customised with various outfits. A game based upon the Gremlins franchise was previously in development for GameCube and PlayStation 2 before it was later cancelled.